Instead of renting a backyard projector, movie screen, and popcorn machine for limited time events, you could purchase these items. Over the summer, the children can enjoy backyard movie night almost every night if they wanted. Adults can have outdoor movie night parties with their friends, too. Movie nights don’t have to be limited to one-time events like graduations or birthday parties. Imagine the fun you and your entire family can have together every weekend with a projector and inflatable screen. Barbecues with friends and family during a weekend can immediately turn into a surprise movie night when you have an inflatable movie screen. All you need is food and comfortable seating. It’s likely that you already have the essentials. 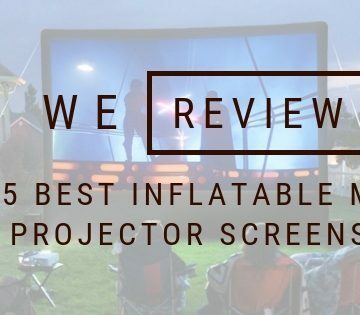 We have quite a few articles reviewing inflatable movie screens for outdoor video. It’s easy to inflate these screens in a few minutes. You could even have a dedicated area where you keep movie style seating for these events. If you’re wondering about screens that are not inflatable, we have reviews featuring those kinds of screens, too. It’s all about getting the family and your friends together to create memories. Years from now, your kids will remember movie nights very fondly. It could be a tradition that carries on through generations, too. Don’t underestimate a simple gathering of family to watch movies. These are moments they’ll remember forever. Best 90’s Kids Movies That The Whole Family Will Love!